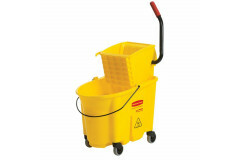 being bright yellow it is great as a mobile warning that floors may be wet. has 3 " wheels are non-marking and non-rusting for less touch-ups. 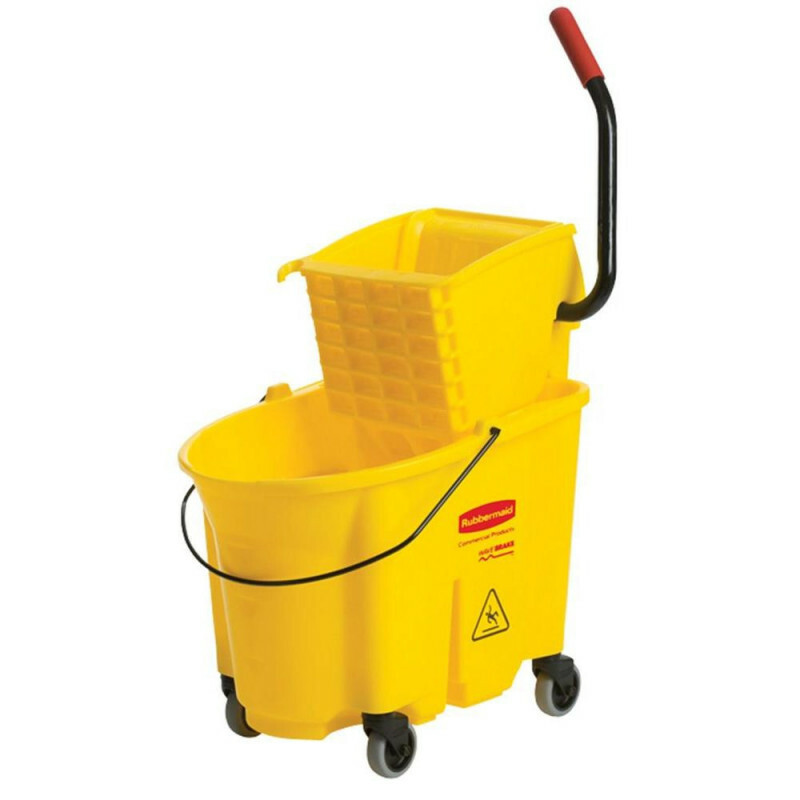 the bucket features markings to measure accurate cleaning solutions and strong wringer for dry-mopping.